I love cute little monsters. Not the scary kind. But the ones I can snuggle with little ones and read about. Like the ones in the book list I shared on Monday. I love the monsters in Monsters Inc. and Where the Wild Things Are. If your little ones love not-so-scary monsters at Halloween or any time, they’ll love this fun Monster Mash mini-printable pack. 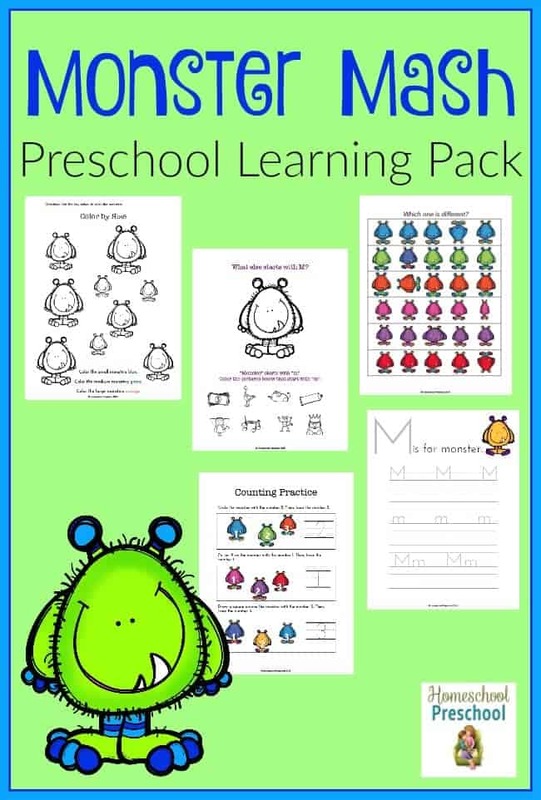 The Monster Mash Learning Pack is ONLY available to Homeschool Preschool subscribers. Click the button below, enter your information, and then check your inbox for your printable.